Home BIOGRAPHY HISTORY Steven Kanumba Biography, Movies, History & Death. Steven Kanumba Biography, Movies, History & Death. Born 8 January 1984 and dead 7 April 2012) was a Tanzanian actor and director. Kanumba died in 2012 at the age of 28 and about 20,000 people are estimated to attend his funeral. (Some sources estimated the total to be 30,000). 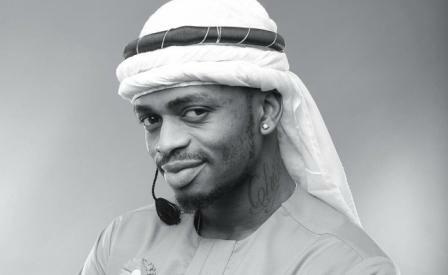 He was described as "Tanzania's most popular film star" and appeared in Nollywood films. Kanumba was born into a Sukuma family in the Shinyanga Region in Northern Tanzania. His father was Charles Kanumba and his mother was Ms. Flora Mutegoa. Kanumba had two older sisters. Kanumba began his studies at Bugoyi Primary School and continued with his secondary studies at Mwadui Secondary School, later transferring to Vosa Mission Secondary School and later joined Jitegemee High School for his high level education. He spoke three languages fluently: Swahili, Sukuma and English. Kanumba began acting in the 1990s in church productions. In 2002, he joined the theater group Kaole Arts Group. He appeared in the television soap operas Jahazi and Dira and made his film debut in Haviliki. In 2006 he met Nazz who gave him advices and further connection to his career appeared in Dar 2 Lagos, a film by Mtitu Game that used both Tanzanian and Nigerian actors and crew. He also appeared in such films as She is My Sister, This Is It, and Love Gamble. In 2009, The production of Prince Matenga Patrick he was a special celebrity guest on Big Brother Africa 4. In 2011, he was named an Oxfam GROW Ambassador. Shortly before his death he had been preparing for his first Hollywood film role, although he was already "Tanzania's most popular film star" and appeared in Nollywood films. Kanumba died after he fell down in his bedroom on 7 April 2012, apparently from a blow to the head. His 17-year-old girlfriend at that time, Elizabeth Michael also known as Lulu was questioned, the actress denied to cause the death of kanumba. Kanumba was taken unconscious to Muhimbili National Referral Hospital where he was declared dead. His funeral was attended by around 30,000 people including the first lady of Tanzania, Salma Kikwete, The Vice President, Dr. Mohamed Gharib Bilal, and the minister for culture and sport, Emmanuel Nchimbi. He was buried in Kinondoni Cemetery.